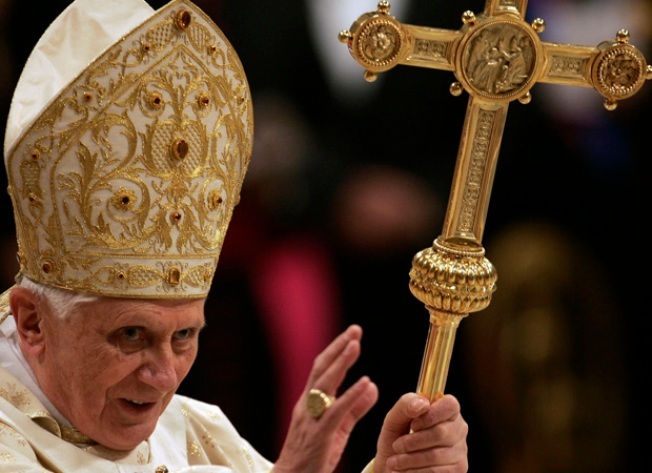 Pope Benedict XVI received a letter from a bishop, who had been excommunicated for denying the Holocaust, that expressed regret for his comments. A bishop recently rehabilitated by Pope Benedict XVI expressed regret Friday to the pontiff for the "distress and problems" he caused by denying the Holocaust. In a letter to the Vatican, Bishop Richard Williamson, who recently denied in a TV interview that 6 million Jews were murdered during the Holocaust, called his remarks "imprudent." The letter was posted on Williamson's personal blog and addressed to Cardinal Dario Castrillon Hoyos, who has been dealing with the rehabilitation of Williamson and other renegade bishops who had been excommunicated. The Holocaust denial had outraged Jewish groups and many others. It was not immediately clear if Williamson's letter, which contained no apology for the content of his remarks, would ease that anger. "Amidst this tremendous media storm stirred up by imprudent remarks of mine on Swedish television, I beg of you to accept, only as is properly respectful, my sincere regrets for having caused to yourself and to the Holy Father so much unnecessary distress and problems," Williamson wrote. Papal spokesman the Rev. Federico Lombardi said he had "nothing to say about this letter. Everyone can evaluate it as they see fit." Lombardi said he didn't know if the pope or the cardinal had seen it. The bishop in the letter also offered the pope his "sincere personal thanks" for lifting the excommunication. The Vatican had imposed the Church's most severe discipline, excommunication, on Williamson and three other bishops 20 years ago because they had been elevated to bishop's rank by a renegade, ultraconservative prelate, the late Archbishop Marcel Lefebvre. In his letter on the blog, Williamson promised to "offer a Mass" for Benedict and Castrillon Hoyos. Earlier Friday, Israel's ambassador to the Holy See, Mordechay Lewy, said the Jewish state has good relations with the Vatican, despite the flap over Williamson's comments. The four rehabilitated bishops belong to the ultraconservative Society of St. Pius X, which Lefebvre founded because he rejected the modernizing reforms of the Second Vatican Council in the 1960s. On Wednesday, Benedict expressed what he called his unquestioned solidarity with Jews and issued a stern warning against any denial of the full horrors of the Nazi genocide. In a letter dated Thursday, some 50 Catholic members of the U.S. Congress wrote to Benedict to express their "deep concerns" over the pope's decision to reinstate Williamson while the bishop was denying that the Holocaust occurred. "We do not question your reasons for revoking the excommunication of Bishop Williamson or your right to do so, but we fail to understand why the revocation was not accompanied by an emphatic public rejection of his denial of the Holocaust," the letter said. The bishop's remarks about the Holocaust "echo those of neo-Nazis, Islamist extremists, racists and others who choose hatred and violence over peaceful co-existence among peoples of all races and ethnicities," the lawmakers said, adding that they welcomed Benedict's expression of solidarity with the Jewish people. Benedict visited Washington during a pilgrimage to the United States last spring.